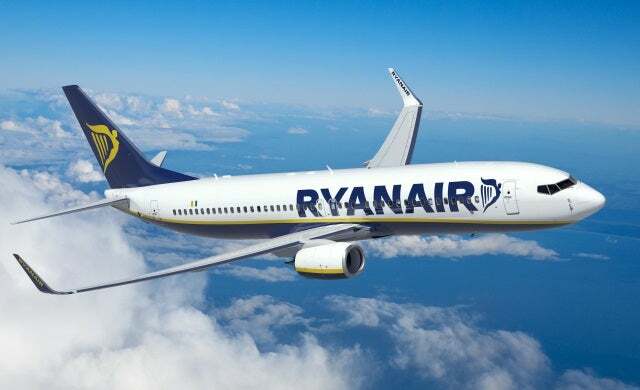 One of Ireland’s most wildly successful companies and the business that brought the budget airline model to Europe for the first time, it’s no exaggeration to say Ryanair changed the aviation industry forever. By offering customers a no-frills, bare-bones flight for exceptionally low cost, Ryanair opened up global tourism to the masses for the first time, democratising the flying experience in the process. Started by Tony Ryan, Christy Ryan and Liam Lonergan in 1985 with just a single airplane carrying 40 passengers once a day from London to Ireland, the business had humble beginnings. But its popularity quickly snowballed as customers caught on to the irresistible budget flying model – dealing the traditional state-owned aviation companies a blow they have arguably never recovered from. Under the stewardship of flamboyant CEO Michael O’Leary, Ryanair has also been no stranger to controversy over the years, coming under widespread criticism for what many have seen as a ruthless quest to strip all the comfort and quality from the flying experience. However, with profits of €500m last year and a total load of some 82 million passengers, nobody can deny the Irish juggernaut is perhaps the ultimate entrepreneurial success story – a plucky family-owned start-up which took on a stale industry, overturned established competitors and ultimately changed the way we think about flying. Tuesday evening saw Kell Ryan, the younger brother of Ryanair’s co-founder Tony Ryan and part of the team that built the business, offer a fascinating insight into the inner workings of the company as part of Global Entrepreneurship Week, explaining the business’ genesis and growth from a small two-man operation in Tipperary to one of the largest carriers in the world. In his talk, he offered entrepreneurs some invaluable nuggets of wisdom which they could use to improve their own businesses. Below, we have put together the best of those insights. “Costs is the number one thing for Ryanair. I used to go to the board meeting every Monday and the first thing on the agenda was always costs. It’s relentless on costs, even now – the fact that we’ve got a €3bn warchest and we’re going to make €700m profit this year doesn’t mean we’ll take the foot off the pedal and relax. If you can control your costs, you can weather any storm that comes along. “If you take your eye off the ball on costs, that money just goes down a black hole – it’s so easy to lose track. A lot of airlines have failed because they didn’t control their costs and didn’t know the value of anything. With every fare, we can tell instantly how much it will cost us and how much profit that particular passenger will make us. “We developed a culture, which is very hard to do – I don’t know how we did it, to be honest – but when you have a clear culture and ethos, it’s a really powerful weapon. Southwest Airlines is another company that has it in spades; it’s something that develops organically. “We’ve always told our staff to do their job well but to have fun while they’re doing it, because you spend a lot of time working. And our staff do like what they do. “Some staff, you do have to get them for their academic abilities – if they’re going to be working in finance or HR, for example. But other people are employed for their attitude, and I think that’s the most important thing of all. “[Tony] had this thing about Ireland. So many more people left Ireland than came in, and there was no way back, that was the sad thing, because of the cost. Tony wanted to get tourism back to Ireland, to get people in, to boost the economy and to create jobs. “A lot of the complaints against us were not justified – obviously some of them were – but a lot of them were people trying to bend the rules. Turning up late, trying to bring the wrong size bag on, and so on. We weren’t too concerned about a lot of the complaints. “Ryanair’s got a bit softer now, but we’ve always said that if you follow the rules and do what people tell you to do, then there won’t be an issue. Even to this day there are only three people in customer complaints, despite us carrying 82 million passengers a year – but they will get back to you within the week, as we actually get one of the lowest number of complaints. “The number one method to secure repeat business is to be able to deliver what you’re selling consistently. In aviation terms, that’s getting someone somewhere quickly, and on time. That’s something Ryanair does exceptionally well; the company has a 94% punctuality rate, which is one of the highest of any airline. “We don’t promise people much, so their expectations are lowered. We will give you a low fare, we’ll fly you from A to B, and we’ll fly you on time. And we deliver all that almost without fail. So people know when they fly with us, they’ll get to where they are going, and they’ll get there on time. Kell Ryan was speaking at the British Library as part of Global Entrepreneurship Week.